Like the Antony chair, the Trapèze table was originally developed for the Cité Universitaire in Antony near Paris and numbers among the final pieces created by the French 'constructeur' Jean Prouvé in the area of furniture design. 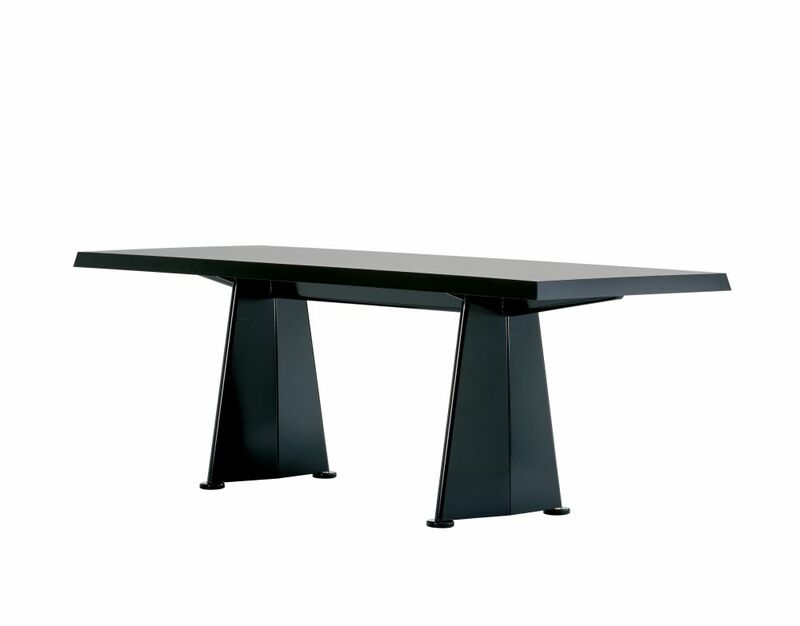 The name of the table refers to the distinctive shape of its paired legs, which are constructed from bent sheet steel. Together with the thick, obliquely canted edges of the table top, they emphasize the solid appearance of the construction. Bent sheet steel, powder-coated in black. High-pressure laminate, black surface coating.